Dr. Sushil Singla is a renowned Paediatrician based at Sarvodaya Hospital & Research Centre having a vast experience of 20 years in the field of Paediatrics & Neonatology. He has been heading the Department of Paediactrics & Neonatology and his determination has helped Sarvodaya in developing one of the most advanced Neonatal Unit in Delhi NCR. MD (Paediatrics) – PGIMS - Rohtak – MD University. 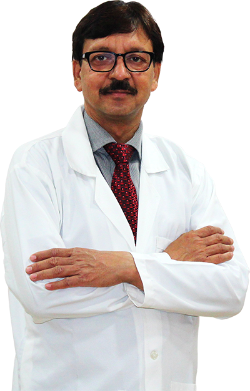 Dr. Sushil Singla brings along with him 30 yrs of experience as a Physician. In Paediatrics, he is having an experience of 20 yrs. He devoted his 12 years in Neonatology Care Level – II and 8 years in Neonatology Care Level – III. Has been working with Sarvodaya Hospital & Research for last 6 years.